Shedding Light On What Is Right! If you are like most people you are fully aware of what is hard for you – the things you just do not do well – and the impact that these perceived weaknesses have on your personal or professional life. This perception or awareness may come from self-assessment, or from what others have told you, and it may or may not be accurate. In either case, it draws focus away from an equally important perception: Awareness of your strengths. You, like most people, are not as aware and perceptive of your strengths as you are your weaknesses. Due to basic evolution we are less inclined and often reluctant to look at our strengths, the brain is hard-wired to look for risks and problems and ‘the squeaky wheel’ commands our attention. For that reason, we often target weaknesses as areas for growth when in reality – and supported by research studies – focusing on strengths not only diminishes weaknesses, it provides our greatest opportunities for growth. That’s great news and great science! Each of us has natural strengths and a wide range of innate skills. These traits are so much a part of us we may not really notice them. Our strengths are freely available resources. Once we accurately assess them we can develop and grow them in an intentional way. Empirical evidence has shown that use of our strengths increases our energy, is associated with higher levels of happiness and lower incidences of depression, and even helps us recover from illness. Living from our strengths allows us to open up new possibilities in our daily lives. How do I assess my strengths? Discovering your strengths can be done several ways. There are several different scientific assessment tests backed by research that can be used to identify Intrinsic (internal) and Extrinsic (external) strengths. I use these in my work with clients. 1. When I feel most energized, what am I doing? 2. What are some of the accomplishments of which I am proudest – past and present? 3. What do I most look forward to in the future? 4. Thinking back to my childhood, what did I do well and what did I enjoy doing? Your answers to these questions will shed light on your strengths – what they are and when you are using them. A part of my initial session with clients, we begin to identify and label strengths so they can be used to reach goals. Throughout the coaching process we discover and develop primary strengths – and uncover and develop additional strengths – and find ways to utilize them to overcome obstacles. What if I have ADHD? Those suffering from ADHD are often acutely aware of how the disorder has negatively impacted their performance at school, work, and home. It is even more important therefore for these individuals to identify and use their strengths to help overcome some of the struggles symptomatic of ADHD. For example, some of the common strengths for those with ADHD are being energetic, creative, curious, persistent and having a quick sense of humor. Harnessing these and other individual strengths can be the first step in creating strategies to manage some of the more challenging ADHD symptoms. 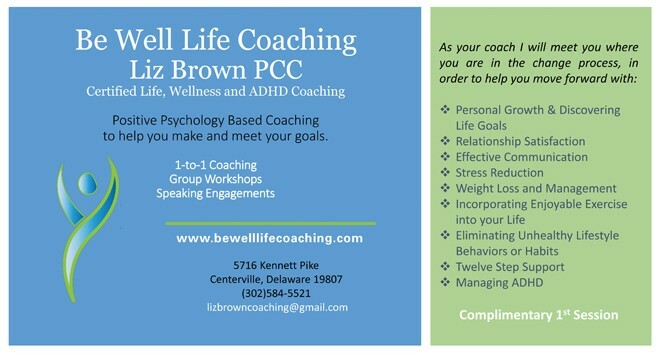 Liz Brown is an ICF Professional Certified Life, Wellness and ADHD Coach. 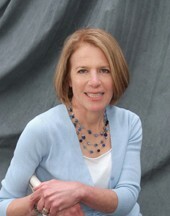 Her mission is to help clients identify their personal and professional dreams, goals and visions and support them every step of the way to sustained success.